1. Amini, A. A., and Duncan, J. S. (1992). Bending and stretching models for LV wall motion analysis from curves and surfaces. Image and Vision Computing 10(6):418-430. 2. Amini, A. A., Weymouth, T. E. and Jain, R. C. (1990). Using dynamic programming for solving variational problems in vision. IEEE Trans, on Pattern Analysis and Machine Intelligence 12(9):855-867. 3. Amini, A., Chen, Y., Curwen, R., Mani, V., and Sun, J. (1998). Coupled B-snake grids and constrained thin-plate splines for analysis of 2D tissue deformation from tagged MRI. IEEE Trans, on Medical Imaging 17(3):344-356. 4. Axel, L., and Dougherty, L. (1989). Heart wall motion: Improved method of spatial modulation of magnetization for MR imaging. Radiology 172:349-350. 5. Ayache, N., Cohen, I., and Herlin, I. L. (1992). Medical image tracking. In Blake, A. and Yuille, A., eds., Active Vision, Cambridge, MA: MIT Press. Chapter 17. 6. Ayache, N. (1995a). Medical computer vision, virtual reality and robotics. Image and Vision Computing 13(4):295-313. 7. Ayache, N., ed. (1995b). Proc, First International Conf, on Computer Vision, Virtual Reality and Robotics in Medicine (CVRMed'95), Nice, France, April, 1995, volume 905 of Lecture Notes in Computer Science, Berlin, Germany: Springer-Verlag. 8. Bajcsy, R., and Kovacic, S. (1989). Multiresolution elastic matching. Computer Vision, Graphics, and Image Processing 46:1-21. 9. Ballard, D., and Brown, C. (1982). Computer Vision, Englewood Cliffs, NJ: Prentice-Hall. 10. Bardinet, E., Cohen, L. D., and Ayache, N. (1996). Tracking and motion analysis of the left ventricle with deformable superquadrics. Medical Image Analysis 1(2):129-149. 11. Barrett, W. A., and Mortensen, E. N. (1996-7). Interactive live-wire boundary extraction. Medical Image Analysis 1(4):331-341. 12. Berger, M. O. (1990). Snake growing. In Faugeras, O., ed., Computer Vision—Proc, First European Conf, on Computer Vision (ECCV90), Antibes, France, April, 1990, Lectures Notes in Computer Science, 570-572. Springer-Verlag. 13. Bizais, Y., Barillot, C., and Paola, R. Di, eds. (1995). Information Processing in Medical Imaging: Proc, 14th Int, Conf, (IPMI'95), Ile deBerder, France, June, 1995, volume 3 of Computational Imaging and Vision, Dordrecht, The Netherlands: Kluwer Academic. 14. Bookstein, F. L. (1989). Principal warps: Thin-plate splines and the decomposition of deformations. IEEE Trans, on Pattern Analysis and Machine Intelligence 11(6):567-585. 15. Bookstein, F. L. (1991). Thin-plate splines and the atlas problem for biomedical images. In Barret, H. H. and Gmitro, A. F., eds., Information Processing in Medical Imaging: Proc, 12th Int, Conf, (IPMI'91), Wye, UK, July, 1991, Lectures Notes in Computer Science, 326-342. Springer-Verlag. 16. Bozma, I., and Duncan, J. S. (1992). A modular system for image analysis using a game theoretic framework. Image and Vision Computing 10(6):431-443. 17. Broit, C. (1981). Optimal Registration of Deformed Images, Ph.D. Dissertation, Computer and Information Science Dept., University of Pennsylvania, Philadelphia, PA.
18. Carlbom, I., Terzopoulos, D., and Harris, K. (1994). Computer-assisted registration, segmentation, and 3D reconstruction from images of neuronal tissue sections. IEEE Trans. on Medical Imaging 13(2):351-362. 19. Caselles, V., Kimmel, R., and Sapiro, G. (1995). Geodesic active contours. In Proc. Fifth International Conf: on Computer Vision (ICCV95), Cambridge, MA, June, 1995, 694-699. Los Alamitos, CA: IEEE Computer Society Press. 20. Caselles, V., Kimmel, R., and Sapiro, G. (1997). Minimal surfaces based object segmentation. IEEE Trans. on Pattern Analysis and Machine Intelligence 19(4). 21. Chakraborty, A., and Duncan, J. S. (1999). Game theoretic integration for image segmentation. IEEE Trans. on Pattern Analysis and Machine Intelligence 21(1). 22. Chalana, V., Linker, D. T., Haynor, D. R., and Kim, Y. (1996). A multiple active contour model for cardiac boundary detection on echocardiographic sequences. IEEE Trans. on Medical Imaging 15:290-298. 23. Chang, L. W., Chen, H. W., and Ho, J. R. (1991). Reconstruction of 3D medical images: A nonlinear interpolation technique for reconstruction of 3D medical images. Computer Vision, Graphics, and Image Processing 53(4):382-391. 24. Chen, C. W., Huang, T. S., and Arrott, M. (1994). Modeling, analysis, and visualization of left ventricle shape and motion by hierarchical decomposition. IEEE Trans. on Pattern Analysis and Machine Intelligence 16:342-356. 25. Christensen, G., Rabbitt, R. D., Miller, M. I., Joshi, S. C., Grenander, U., Coogan, T. A., and van Essen, D. C. (1995). Topological properties of smooth anatomic maps. In Ref. , pp. 101-112. 26. Cohen, L. D., and Cohen, I. (1993). Finite element methods for active contour models and balloons for 2D and 3D images. IEEE Trans. on Pattern Analysis and Machine Intelligence 15(11):1131-1147. 27. Cohen, I., Ayache, N., and Sulger, P. (1992a). Tracking points on deformable objects using curvature information. In Sandini, G., ed., Computer Vision—Proc. Second European Conf. on Computer Vision (ECCV'92), Santa Margherita Ligure, Italy, May, 1992, Lectures Notes in Computer Science, 458-466. Springer-Verlag. 28. Cohen, I., Cohen, L. D., and Ayache, N. (1992b). Using deformable surfaces to segment 3D images and infer differential structures. CVGIP: Image Understanding 56(2):242-263. 29. Cohen, L. D. (1991). On active contour models and balloons. CVGIP: Image Understanding 53(2):211-218. 30. Cootes, T., Hill, A., Taylor, C., and Haslam, J. (1994). The use of active shape models for locating structures in medical images. Image and Vision Computing 12(6):355-366. 31. Creswell, L. L., Wyers, S. G., Pirolo, J. S., Perman, W. H., Vannier, M. W., and Pasque, M. K. (1992). Mathematical modelling of the heart using magnetic resonance imaging. IEEE Trans. on Medical Imaging 11(4):581-589. 32. Davatzikos, C., and Bryan, R. N. (1995). Using a deformable surface model to obtain a mathematical representation of the cortex. In International Symp. on Computer Vision, Coral Gables, FL, November, 1995, 212-217. Los Alamitos, CA: IEEE Computer Society Press. 33. Davatzikos, C. A., and Prince, J. L. (1995). An active contour model for mapping the cortex. IEEE Trans. on Medical Imaging 14(1):65-80. 34. Davatzikos, C. A., Prince, J. L., and Bryan, R. N. (1996). Image registration based on boundary mapping. IEEE Trans. on Medical Imaging 15(1):112-115. 35. Declerck, J., Subsol, G., Thirion, J. P., and Ayache, N. (1995). Automatic retrieval of anatomic structures in 3D medical images. In Ref. , pp. 153-162. 36. Delibasis, K., and Undrill, P. E. (1994). Anatomical object recognition using deformable geometric models. Image and Vision Computing 12(7):423-433. 37. Delibasis, K., Undrill, P. E., and Cameron, G. G. (1997). Designing Fourier descriptor-based geometric models for object interpretation in medical images using genetic algorithms. Computer Vision and Image Understanding 66(3):286-300. 38. Delingette, H., Hebert, M., and Ikeuchi, K. (1992). Shape representation and image segmentation using deformable surfaces. Image and Vision Computing 10(3):132-144. 39. Delingette, H., Subsol, G., Cotin, S., and Pignon, J. (1994). Virtual reality and craniofacial surgery simulation. In Ref. , pp. 607-618. 40. Delingette, H. (1997). Decimation of iso-surfaces with deformable models. In Ref. , pp. 83-91. 41. Duncan, J., and Gindi, G., eds. (1997). Information Processing in Medical Imaging: Proc. 15th Int. Conf. (IPMI'97), oultney, Vermont, USA, June, 1997, volume 1230 of Lecture Notes in Computer Science. Berlin, Germany: Springer. 42. Duncan, J., Shi, P., Amini, A., Constable, R., Staib, L., Dione, D., Shi, Q., Heller, E., Singer, M., Chakraborty, A., Robinson, G., Gore, J., and Sinusas, A. (1994). Towards reliable, noninvasive measurement of myocardial function from 4D images. In Medical Imaging 1994: Physiology and Function from Multidimensional Medical Images, volume 2168 of SPIE Proc, 149-161. Bellingham, WA: SPIE. 43. Duta, N., and Sonka, M. (1998). Segmentation and interpretation of MR brain images: An improved active shape model. IEEE Trans. on Medical Imaging 17(6):1049-1062. 44. Essa, I., Sclaroff, S., and Pentland, A. P. (1993). Physically-based modeling for graphics and vision. In Martin, R., ed., Directions in Geometric Computing. Information Geometers, U.K.
45. Evans, A. C., Dai, W., Collins, L., Neelin, P., and Marrett, S. (1991). Warping of a computerized 3D atlas to match brain image volumes for quantitative neuroanatomical and functional analysis. In Medical Imaging V: Image Processing, volume 1445 of SPIE Proc., 236-246. Bellingham, WA: SPIE. 46. Falcäo, A., Udupa, J., Samarasekera, S., Sharma, S., Hirsch, B. E., and de A. Lotufo, R. (1998). User-steered image segmentation paradigms: Live wire and live lane. Graphical Models and Image Processing 60(4):233-60. 47. Farin, G. (1993). Curves and Surfaces for CAGD. New York, NY: Academic Press. 48. Feldmar, J., and Ayache, N. (1994). Locally affine registration of free-form surfaces. In Proc. Conf. Computer Vision and Pattern Recognition (CVPR'94), Seattle, WA, June, 1994, 496501. Los Alamitos, CA: IEEE Computer Society Press. 49. Fischler, M., and Elschlager, R. (1973). The representation and matching of pictorial structures. IEEE Trans. on Computers 22(1):67-92. 50. Fritsch, D., Pizer, S. M., Yu, L., Johnson, V., and Chaney, E. (1997). Segmentation of medical image objects using deformable shape loci. In Duncan and Gindi (1997), 127140. 51. Gauch, J. M., Pien, H. H., and Shah, J. (1994). Hybrid boundary-based and region-based deformable models for biomedical image segmentation. In Mathematical Methods in Medical Imaging III, volume 2299 of SPIE Proc., 72-83. San Diego, CA: SPIE. 52. Gee, J. C. (1999). On matching brain volumes. Pattern Recognition 32:99-111. 53. Geiger, D., Gupta, A., Costa, L. A., and Vlontzos, J. (1995). Dynamic programming for detecting, tracking and matching deformable contours. IEEE Trans. on Pattern Analysis and Machine Intelligence 17(3):294-302. 54. Geiger, B. (1992). Three dimensional simulation of delivery for cephalopelvic disproportion. In First International Workshop on Mechatronics in Medicine and Surgery, Costa del Sol, Spain, October, 1992, 146-152. 55. Gibson, S., Fyock, C., Grimson, E., Kanade, T., Kikinis, R., Lauer, H., McKenzie, N., Mor, A., Nakajima, S., Ohkami, H., Osborne, R., Samosky, J., and Sawada, A. (1998). Volumetric object modeling for surgical simulation. Medical Image Analysis 2(2):121-132. 56. Goldgof, D. B., Lee, H., and Huang, T. S. (1988). Motion analysis of nonrigid surfaces. In Proc. Conf. Computer Vision and Pattern Recognition (CVPR'88), Ann Arbor, MI, June, 1988, 375-380. Los Alamitos, CA: IEEE Computer Society Press. 57. Gourdon, A. (1995). Simplification of irregular surface meshes in 3D medical images. In Ref. , pp. 413-419. 58. Grzeszczuk, R. P., and Levin, D. N. (1997). Brownian strings: Segmenting images with stochastically deformable contours. IEEE Trans. on Pattern Analysis and Machine Intelligence 19(10). 59. Gueziec, A., and Ayache, N. (1994). Smoothing and matching of 3D space curves. International Journal of Computer Vision 12(1):79-104. 60. Gunn, S. R., and Nixon, M. S. (1997). A robust snake implementation; a dual active contour. IEEE Trans. on Pattern Analysis and Machine Intelligence 19(1). 61. Gupta, A., O'Donnell, T., and Singh, A. (1994). Segmentation and tracking of cine cardiac MR and CT images using a 3-D deformable model. In Proc. IEEE Conf. on Computers in Cardiology, September, 1994. 62. Gwydir, S. H., Buettner, H. M., and Dunn, S. M. (1994). Non-rigid motion analysis and feature labelling of the growth cone. In IEEE Workshop on Biomedical Image Analysis, Seattle, WA, June, 1994, 80-87. Los Alamitos, CA: IEEE Computer Society Press. 63. Hamadeh, A., Lavallee, S., Szeliski, R., Cinquin, P., and Peria, O. (1995). Anatomy-based registration for computer-integrated surgery. In Ref. , pp. 212-218. 64. Herlin, I. L., and Ayache, N. (1992). Features extraction and analysis methods for sequences of ultrasound images. Image and Vision Computing 10(10):673-682. 65. Herlin, I. L., Nguyen, C., and Graffigne, C. (1992). 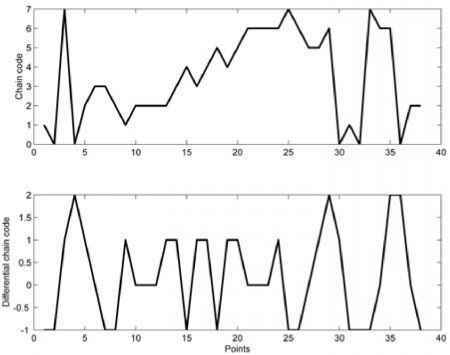 A deformable region model using stochastic processes applied to echocardiographic images. In Proc. Conf. Computer Vision and Pattern Recognition (CVPR'92), Urbana, IL, June, 1992, 534-539. Los Alamitos, CA: IEEE Computer Society Press. 66. Hill, A., Thornham, A., and Taylor, C. J. (1993). Modelbased interpretation of 3D medical images. In Proc. 4th British Machine Vision Conf. (BMVC'93), Surrey, UK, September, 1993, 339-348. BMVA Press. 67. Höhne, K. H., and Kikinis, R., eds. (1996). Proc. Fourth Conf. on Visualization in Biomedical Computing (VBC'96), Hamburg, Germany, September, 1996, volume 1131 of Lecture Notes in Computer Science. Berlin, Germany: Springer. 68. Huang, W. C., and Goldgof, D. B. (1993). Adaptive-size meshes for rigid and nonrigid shape analysis and synthesis. IEEE Trans. on Pattern Analysis and Machine Intelligence 15(3). 69. Ivins, J., and Porrill, J. (1994). Statistical snakes: Active region models. In Proc. 5th British Machine Vision Conf. (BMVC'94), 377-386. BMVA Press. 70. Jacob, G., Noble, J. A., Mulet-Parada, M., and Blake, A. (1999). Evaluating a robust contour tracker on echocardiographic sequences. Medical Image Analysis 3(1):63-75. 71. Jones, T., and Metaxas, D. (1997). Automated 3D segmentation using deformable models and fuzzy affinity. In Ref. , pp. 113-126. 72. Kambhamettu, C., and Goldgof, D. B. (1994). Point correspondence recovery in nonrigid motion. CVGIP: Image Understanding 60(1):26-43. 73. Kass, M., Witkin, A., and Terzopoulos, D. (1988). Snakes: Active contour models. International Journal of Computer Vision 1(4):321-331. 74. Keeve, E., Girod, S., Kikinis, R., and Girod, B. (1998). Deformable modeling of facial tissue for craniofacial surgery simulation. Computer Aided Surgery 3(5). 75. Kraitchman, D. L., Young, A. A., Chang, C. N., and Axel, L. (1995). Semi-automatic tracking of myocardial motion in MR tagged images. IEEE Trans, on Medical Imaging 14(3):422-432. 76. Kumar, S., and Goldgof, D. (1994). Automatic tracking of SPAMM grid and the estimation of deformation parameters from cardiac MR images. IEEE Trans. on Medical Imaging 13(1):122-132. 77. Lachaud, J.-O., and Montanvert, A. (1999). Deformable meshes with automated topology changes for coarse-to-fine three-dimensional surface extraction. Medical Image Analysis 3(1):1-21. 78. Lavallee, S., and Szeliski, R. (1995). Recovering the position and orientation of free-form objects from image contours using 3D distance maps. IEEE Trans. on Pattern Analysis and Machine Intelligence 17(4):378-390. 79. Lee, Y., Terzopoulos, D., and Waters, K. (1995). Realistic modeling for facial animation. In Proc. SIGGRAPH'95, Los Angeles, CA, August, 1995, in Computer Graphics Proc., Annual Conf. Series 1995, 55-62. New York, NY: ACM SIGGRAPH. 80. Leitner, F., and Cinquin, P. (1991). Complex topology 3D objects segmentation. In Model-Based Vision Development and Tools, volume 1609 of SPIE Proc., 16-26. Bellingham, WA: SPIE. 81. Leitner, F., and Cinquin, P. (1993). From splines and snakes to Snakes Splines. In Laugier, C., ed., Geometric Reasoning: From Perception to Action, volume 708 of Lectures Notes in Computer Science. Springer-Verlag, pp. 264-281. 82. Lengyel, J., Greenberg, D. P., and Popp, R. (1995). Time-dependent three-dimensional intravascular ultrasound. In Proc. SIGGRAPH'95, Los Angeles, CA, August, 1995, in Computer Graphics Proc., Annual Conf. Series 1995, 457464. New York, NY: ACM SIGGRAPH. 83. Leymarie, F., and Levine, M. (1993). Tracking deformable objects in the plane using an active contour model. IEEE Trans. on Pattern Analysis and Machine Intelligence 15(6):635-646. 84. Liang, J., McInerney, T., and Terzopoulos, D. (1999a). Interactive medical image segmentation with united snakes. In Proceedings of the Second International Conference on Medical Image Computing and Computer Assisted Interventions (MICCA199), Cambridge, England. Berlin, Germany: Springer. 85. Liang, J., McInerney, T., and Terzopoulos, D. (1999b). United snakes (towards a more perfect union of active contour techniques). In Proceedings of the IEEE Seventh International Conference on Computer Vision (ICCV99), Kerkyra, Greece. Los Alamitos, CA: IEEE Computer Society Press. 86. Lin, W. C., and Chen, S. Y. (1989). A new surface interpolation technique for reconstructing 3D objects from serial cross-sections. Computer Vision, Graphics, and Image Processing 48:124-143. 87. Lipson, P., Yuille, A. L., O'Keefe, D., Cavanaugh, J., Taaffe, J., and Rosenthal, D. (1990). Deformable templates for feature extraction from medical images. In Faugeras, O., ed., Computer Vision—Proc. First European Conf. on Computer Vision (ECCV90), Antibes, France, April, 1990, Lectures Notes in Computer Science, 477-484. Springer-Verlag. 88. Lobregt, S., and Viergever, M. A. (1995). A discrete dynamic contour model. IEEE Trans. on Medical Imaging 14(1):12-24. 89. Lötjönen, J., Reissman, P-J., Magnin, I. E., and Katila, T. (1999). Model extraction from magnetic resonance volume data using the deformable pyramid. Medical Image Analysis 3(4):387-406. 90. Malladi, R., Sethian, J., and Vemuri, B. C. (1995). Shape modeling with front propagation: A level set approach. IEEE Trans. on Pattern Analysis and Machine Intelligence 17(2):158-175. 91. Malladi, R., Kimmel, R., Adalsteinsson, D., Sapiro, G., Caselles, V., and Sethian, J. A. (1996). A geometric approach to segmentation and analysis of 3D medical images. In IEEE Workshop on Mathematical Methods in Biomedical Image Analysis, San Francisco, CA, June, 1996, 244-252. Los Alamitos, CA: IEEE Computer Society Press. 92. Mangin, J. F., Tupin, F., Frouin, V., Bloch, I., Rougetet, R., Regis, J., and Lopez-Krahe, J. (1995). Deformable topological models for segmentation of 3D medical images. In Ref. , pp. 153-164. 93. McDonald, D., Avis, D., and Evans, A. (1994). Multiple surface identification and matching in magnetic resonance images. In Ref. , pp. 160-169. 94. McInerney, T., and Kikinis, R. (1998). An object-based volumetric deformable atlas for the improved localization of neuroanatomy in MR images. In Ref. , pp. 861-869. 95. McInerney, T., and Terzopoulos, D. (1995a). A dynamic finite element surface model for segmentation and tracking in multidimensional medical images with application to cardiac 4D image analysis. Computerized Medical Imaging and Graphics 19(1):69-83. 96. McInerney, T., and Terzopoulos, D. (1995b). Topologically adaptable snakes. In Proc. Fifth International Conf. on Computer Vision (ICCV'95), Cambridge, MA, June, 1995, 840-845. Los Alamitos, CA: IEEE Computer Society Press. 97. McInerney, T., and Terzopoulos, D. (1996). Deformable models in medical image analysis: A survey. Medical Image Analysis 1(2):91-108. 98. McInerney, T., and Terzopoulos, D. (1999). Topology adaptive deformable surfaces for medical image volume segmentation. IEEE Trans. on Medical Imaging 18(10):840-850. 99. McInerney, T., and Terzopoulos, D. (2000). T-snakes: Topology adaptive snakes. Medical Image Analysis. In press. 100. Metaxas, D., and Terzopoulos, D. (1993). Shape and nonrigid motion estimation through physics-based synthesis. IEEE Trans. on Pattern Analysis and Machine Intelligence 15(6):580-591. 101. Miller, J. V., Breen, D. E., Lorensen, W. E., O'Bara, R. M., and Wozny, M. J. (1991). Geometrically deformed models: A method for extracting closed geometric models from volume data. In Computer Graphics (Proc. SIGGRAPH'91 Conf., Las Vegas, NV, July, 1991), volume 25(4), 217-226. 102. Mishra, S. K., Goldgof, D. B., and Huang, T. S. (1991). Non-rigid motion analysis and epicardial deformation estimation from angiography data. In Proc. Conf. Computer Vision and Pattern Recognition (CVPR'91), Maui, HI, June, 1991, 331-336. Los Alamitos, CA: IEEE Computer Society Press. 103. Montagnat, J., and Delingette, H. (1997). Volumetric medical image segmentation using shape constrained deformable models. In Ref. , pp. 13-22. 104. Moshfeghi, M., Ranganath, S., and Nawyn, K. (1994). Three-dimensional elastic matching of volumes. IEEE Trans. on Image Processing 3:128-138. 105. Moshfeghi, M. (1991). Elastic matching of multimodality medical images. CVGIP: Graphical Models and Image Processing 53:271-282. 106. Nastar, C., and Ayache, N. (1996). Frequency-based nonrigid motion analysis: Application to four dimensional medical images. IEEE Trans. on Pattern Analysis and Machine Intelligence 18(11). 107. Neuenschwander, W., Fua, P., Szekely, G., and Kubler, O. (1997). Velcro surfaces: Fast initialization of deformable models. Computer Vision and Image Understanding 65(2):237-245. 108. Niessen, W., ter Haar Romeny, B. M., and Viergever, M. A. (1998). Geodesic deformable models for medical image analysis. IEEE Trans. on Medical Imaging 17(4): 634-641. 109. Park, J., Metaxas, D., and Axel, L. (1995). Volumetric deformable models with parameter functions: A new approach to the 3D motion analysis of the LV from MRI-SPAMM. In Proc. Fifth International Conf. on Computer Vision (ICCV'95), Cambridge, MA, June, 1995, 700-705. Los Alamitos, CA: IEEE Computer Society Press. 110. Park, J., Metaxas, D., and Axel, L. (1996). Analysis of left ventricular wall motion based on volumetric deformable models and MRI-SPAMM. Medical Image Analysis 1(1). 111. Paulus, D., Wolf, M., Meller, S., and Nieman, H. (1999). Three-dimensional computer vision for tooth restoration. Medical Image Analysis 3(1):1-19. 112. Pentland, A., and Horowitz, B. (1991). Recovery of nonrigid motion and structure. IEEE Trans. on Pattern Analysis and Machine Intelligence 13(7):730-742. 113. Pentland, A., and Sclaroff, S. (1991). Closed-form solutions for physically based shape modelling and recognition. IEEE Trans. on Pattern Analysis and Machine Intelligence 13(7):715-729. 114. Pieper, S., Rosen, J., and Zeltzer, D. (1992). Interactive graphics for plastic surgery: A task-level analysis and implementation. In Proc. ACM 1992 Symposium on Interactive 3D Graphics, 127-134. A. (1994). Segmentation of medical images using an active contour model incorporating region-based images features. In Robb (1994), 90-97. B. P. (1992). Numerical Recipes in C. Cambridge University Press. 117. Qin, H., Mandal, C., and Vemuri, B. C. (1998). Dynamic Catmull-Clark subdivision surfaces. IEEE Transactions on Visualization and Computer Graphics 4(3). 118. Robb, R. A., ed. (1994). Proc. Third Conf. on Visualization in Biomedical Computing (VBC'94), Rochester, MN, October, 1994, volume 2359 of SPIE Proc. Bellingham, WA: SPIE. 119. Rougon, N., and Preteux, F. (1991). Deformable markers: Mathematical morphology for active contour models control. In Image Algebra and Morphological Image Processing II, volume 1568 of SPIE Proc., 78-89. Bellingham, WA: SPIE. 120. Rougon, N., and Preteux, F. (1993). Directional adaptive deformable models for segmentation with application to 2D and 3D medical images. In Medical Imaging 93: Image Processing, volume 1898 of SPIE Proc., 193-207. Bellingham, WA: SPIE. 121. Sandor, S., and Leahy, R. (1995). Towards automatic labelling of the cerebral cortex using a deformable atlas model. In Ref. , pp. 127-138. 122. Sapiro, G., Kimmel, R., and Caselles, V. (1995). Object detection and measurements in medical images via geodesic deformable contours. In Vision Geometry IV, volume 2573 of SPIE Proc., 366-378. Bellingham, WA: SPIE. 123. Singh, A., von Kurowski, L., and Chiu, M. Y. (1993). Cardiac MR image segmentation using deformable models. In Biomedical Image Processing and Biomedical Visualization, volume 1905 of SPIE Proc., 8-28. Bellingham, WA: SPIE. 124. Singh, A., Goldgof, D., and Terzopoulos, D. (1998). Deformable Models in Medical Image Analysis. Los Alamitos, CA: IEEE Computer Society. 125. Snell, J. W., Merickel, M. B., Ortega, J. M., Goble, J. C., Brookeman, J. R., and Kassell, N. F. (1995). Model-based boundary estimation of complex objects using hierarchical active surface templates. Pattern Recognition 28(10):1599-1609. 126. Staib, L. H., and Duncan, J. S. (1992a). Boundary finding with parametrically deformable models. IEEE Trans. on Pattern Analysis and Machine Intelligence 14(11):1061-1075. 127. Staib, L. H., and Duncan, J. S. (1992b). Deformable Fourier models for surface finding in 3D images. In Robb, R. A., ed., Proc. Second Conf. on Visualization in Biomedical Computing (VBC'92), Chapel Hill, NC, October, 1992, volume 1808 of SPIE Proc., 90-104. Bellingham, WA: SPIE. 128. Strang, G., and Nguyen, T. (1996). Wavelets and Filter Banks. Wellesley, MA: Wellesley-Cambridge Press. 129. Stytz, M., Frieder, G., and Frieder, O. (1991). Three-dimensional medical imaging: Algorithms and computer systems. ACM Computing Surveys 23(4):421-499. 130. Subsol, G., Thirion, J.Ph., and Ayache, N. (1995). A general scheme for automatically building 3D morphometric anatomical atlases: Application to a skull atlas. In Proc. Second International Symp. on Medical Robotics and Computer Assisted Surgery (MRCAS'95), Baltimore, MD, November, 1995, 226-233. 131. Szekely, G., Kelemen, A., Brechbuhler, Ch., and Gerig, G. (1996). Segmentation of 2-D and 3-D objects from MRI volume data using constrained elastic deformations of flexible Fourier surface models. Medical Image Analysis 1(1). 132. Szeliski, R., Tonnesen, D., and Terzopoulos, D. (1993). Modeling surfaces of arbitrary topology with dynamic particles. In Proc. Conf. Computer Vision and Pattern Recognition (CVPR'93), New York, NY, June, 1993, 82-87. Los Alamitos, CA: IEEE Computer Society Press. 133. Szeliski, R. (1990). Bayesian modeling of uncertainty in low-level vision. International Journal of Computer Vision 5:271301. 134. Tek, H., and Kimia, B. (1997). Volumetric segmentation of medical images by three-dimensional bubbles. Computer Vision and Image Understanding 65(2):246-258. 135. Terzopoulos, D., and Fleischer, K. (1988). Deformable models. The Visual Computer 4(6):306-331. 136. Terzopoulos, D., and Metaxas, D. (1991). Dynamic 3D models with local and global deformations: Deformable superquadrics. IEEE Trans. on Pattern Analysis and Machine Intelligence 13(7):703-714. 137. Terzopoulos, D., and Szeliski, R. (1992). Tracking with Kalman snakes. In Blake, A. and Yuille, A., eds., Active Vision. Cambridge, MA: MIT Press. 3-20. 138. Terzopoulos, D., Witkin, A., and Kass, M. (1988). Constraints on deformable models: Recovering 3D shape and nonrigid motion. Artificial Intelligence 36(1):91-123. 139. Terzopoulos, D. (1986a). On matching deformable models to images. Technical Report 60, Schlumberger Palo Alto Research. Reprinted in Topical Meeting on Machine Vision, Technical Digest Series, Vol. 12 (Optical Society of America, Washington, DC) 1987, 160-167. 140. Terzopoulos, D. (1986b). Regularization of inverse visual problems involving discontinuities. IEEE Trans. on Pattern Analysis and Machine Intelligence 8(4):413-424. 141. Thirion, J. P. (1994). Extremal points: Definition and application to 3D image registration. In Proc. Conf. Computer Vision and Pattern Recognition (CVPR'94), Seattle, MA, June, 1994, 587-592. Los Alamitos, CA: IEEE Computer Society Press. 142. Thompson, P. M., and Toga, A. W. (1996-7). Detection, visualization and animation of abnormal anatomic structure with a deformable probabilistic brain atlas based on random vector field transformations. Medical Image Analysis 1(4):271-294. 143. Troccaz, J., Crimson, E., and Mosges, R., eds. (1997). Proc. First Joint Conf. Computer Vision, Virtual Reality and Robotics in Medicine and Medical Robotics and Computer-Assisted Surgery (CVRMed-MRCAS'97), Grenoble, France, March, 1997, volume 1205 of Lectures Notes in Computer Science. Berlin, Germany: SpringerVerlag. 144. Turk, G. (1992). Re-tiling polygonal surfaces. In Computer Graphics (Proc. SIGGRAPH'92 Conf, Chicago, IL, July, 1992), volume 26(2), 55-64. ACM SIGGRAPH. 145. Ueda, N., and Mase, K. (1992). Tracking moving contours using energy-minimizing elastic contour models. In Sandini, G., ed., Computer Vision—Proc. Second European Conf. on Computer Vision (ECCV92), Santa Margherita Ligure, Italy, May, 1992, Lectures Notes in Computer Science, 453-457. Springer-Verlag. 146. Vaillant, M., and Davatzikos, C. (1997). Mapping the cerebral sulci: Application to morphological analysis of the cortex and non-rigid registration. In Duncan and Gindi (1997), 141-154. 147. Vasilescu, M., and Terzopoulos, D. (1992). Adaptive meshes and shells: Irregular triangulation, discontinuities and hierarchical subdivision. In Proc. Conf. Computer Vision and Pattern Recognition (CVPR'92), Urbana, IL, June, 1992, 829-832. Los Alamitos, CA: IEEE Computer Society Press. 148. Vemuri, B. C., and Radisavljevic, A. (1994). Multiresolution stochastic hybrid shape models with fractal priors. ACM Trans. on Graphics 13(2):177-207. 149. Vemuri, B. C., Radisavljevic, A., and Leonard, C. (1993). Multiresolution 3D stochastic shape models for image segmentation. In Colchester, A.C.F. and Hawkes, D. J., eds., Information Processing in Medical Imaging: Proc. 13th Int. Conf. (IPMI'93), Flagstaff, AZ, June, 1993, Lectures Notes in Computer Science, 62-76. SpringerVerlag. 150. Wang, Y., and Staib, L. H. (1998). Elastic model based nonrigid registration incorporating statistical shape information. In Wells et al. (1998), 1162-1173. 151. Waters, K. (1992). A physical model of facial tissue and muscle articulation derived from computer tomography data. In Robb, R. A., ed., Proc. Second Conf. on Visualization in Biomedical Computing (VBC'92), Chapel Hill, NC, October, 1992, volume 1808 of SPIEProc, 574583. Bellingham, WA: SPIE. 152. Wells, W., Colchester, A., and Delp, S., eds. (1998). Medical Image Computing and Computer-Assisted Intervention: Proc. 1st Int. Conf. (MICCAI'98), Cambridge, MA, USA, October, 1998, volume 1496 of Lectures Notes in Computer Science. Berlin, Germany: Springer. 153. Whitaker, R. (1994). Volumetric deformable models. In Ref. .
154. Widrow, B. (1973). The rubber mask technique, part I. Pattern Recognition 5(3):175-211. 155. Worring, M., Smeulders, A. W. M., Staib, L. H., and Duncan, J. S. (1996). Parameterized feasible boundaries in gradient vector fields. Computer Vi5ion and Image Under5tanding 63(1):135-144. 156. Xu, C., and Prince, J. L. (1998). Snakes, shapes, and gradient vector flow. IEEE Tramactiom on Image Proce55ing 359-369. 157. Yezzi, A., Kichenassamy, S., Kumar, A., Olver, P., and Tannenbaum, A. (1997). A geometric snake model for segmentation of medical imagery. IEEE Tram. on Medical Imaging 16(2):199-209. 158. Young, A., and Axel, L. (1992). Non-rigid wall motion using MR tagging. In Proc. Conf. Computer Vi5ion and Pattern Recognition (CVPR'92), Urbana, IL, June, 1992, 399-404. Los Alamitos, CA: IEEE Computer Society Press. imaging to estimate material deformation. Radiology 188:101-108. 160. Young, A. A., Kraitchman, D. L., Dougherty, L., and Axel, L. (1995). Tracking and finite element analysis of stripe deformation in magnetic resonance tagging. IEEE Trans, on Medical Imaging 14(3):413-421. 161. Yuille, A. L., Hallinan, P. W., and Cohen, D. S. (1992). Feature extraction from faces using deformable templates. International Journal of Computer Vision 8:99-111. 162. Zeng, X., Staib, L. H., Schultz, R. T., and Duncan, J. S. (1998). Segmentation and measurement of the cortex from 3D MR images. In Ref. , pp. 519-530. 163. Zienkiewicz, O. C., and Taylor, R. L. (1989). The Finite Element Method, New York, NY: McGraw-Hill.